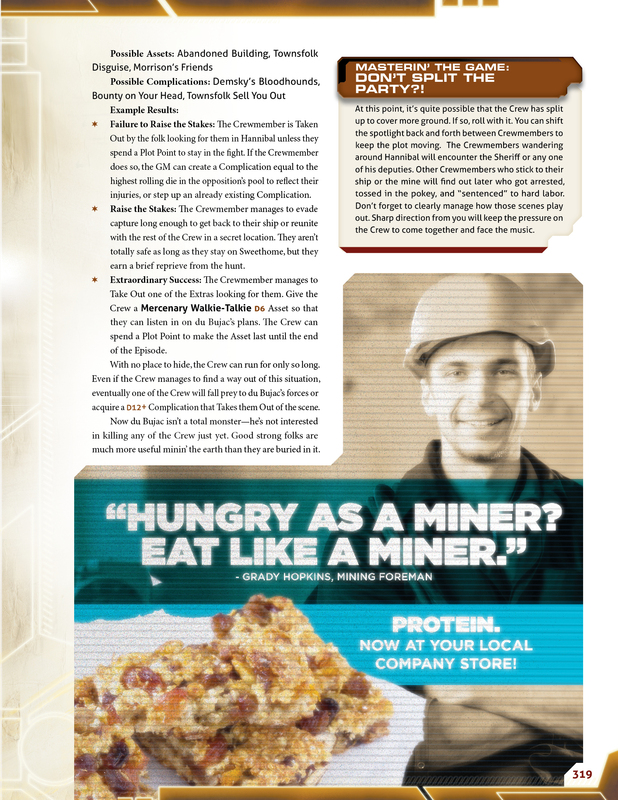 Published by Margaret Weis Productions. Released Aug 2014. Copy purchased by reviewer. 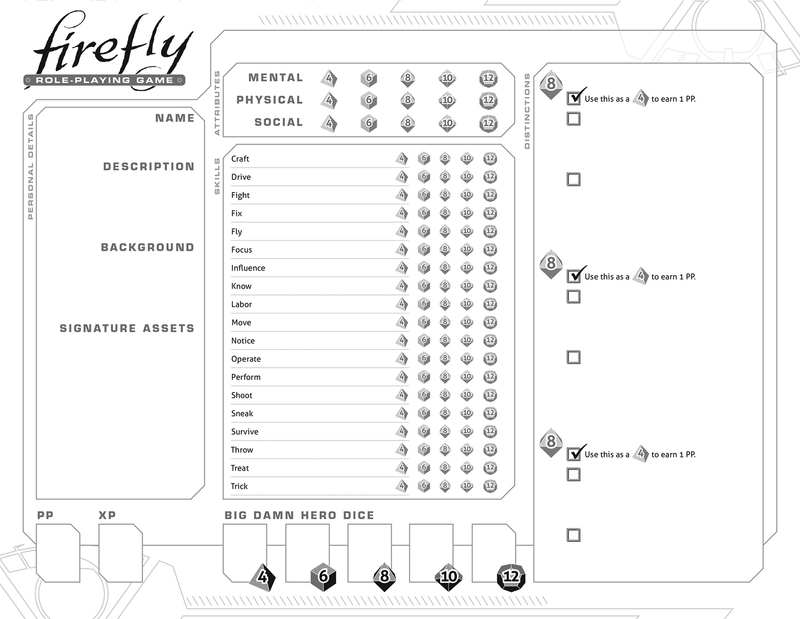 Firefly holds a special place in my heart, and not just because I loved the original television series. 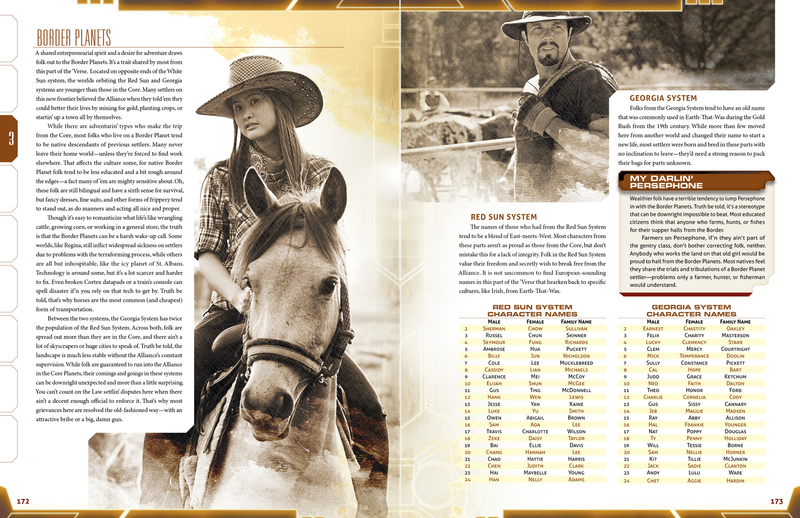 It was also the setting of my first roleplaying campaign - Margaret Weis Productions first broke into the RPG market with Serenity, where players designed their own crews, ran their own jobs, and kept flying across the sci-fi/western Verse. That original game is now long out of print, thanks to an expired license agreement, but it's fondly remembered among many tabletop fans - my own RPG group included. 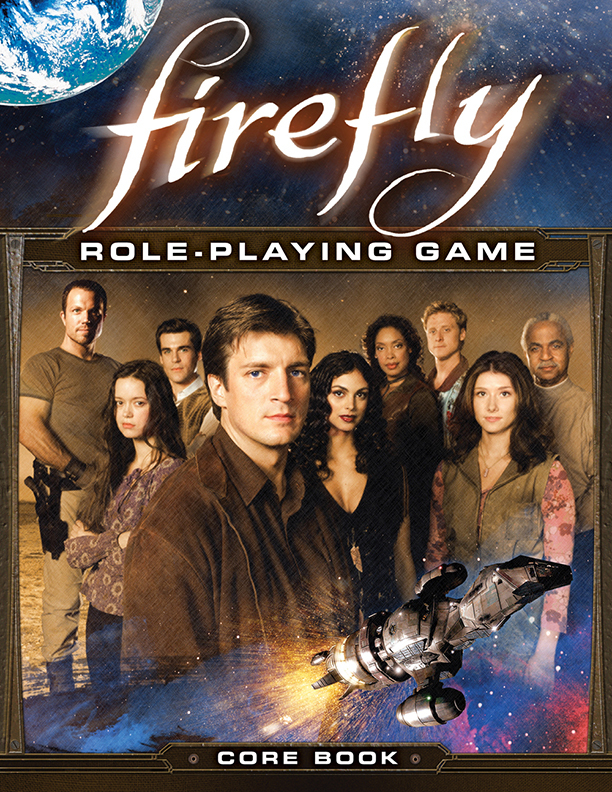 That's why the tabletop world rejoiced when Margaret Weis revealed the Firefly Role-Playing Game, bringing the 'Verse back to tabletops with the updated Cortex Plus system. 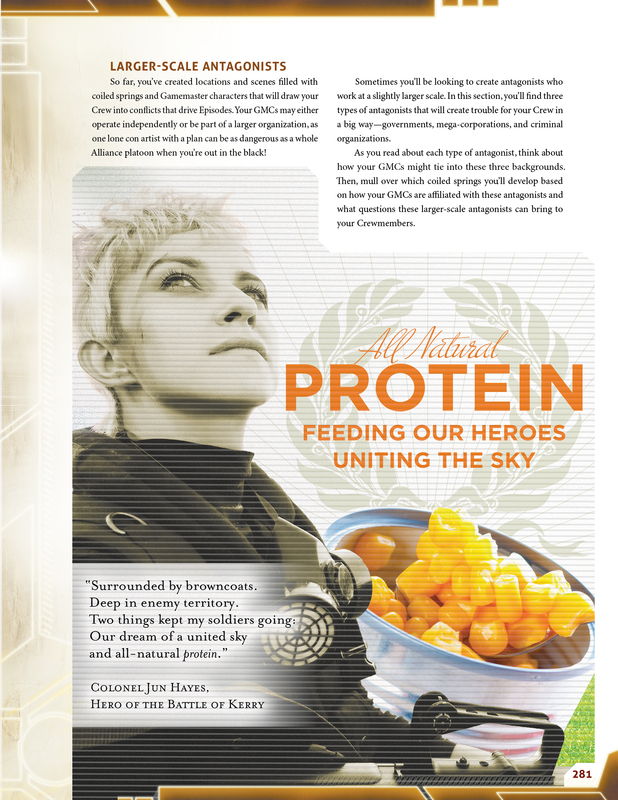 This game has since proved to be a phenomenal success, prompting several well-written supplements and an Origin Award nomination. 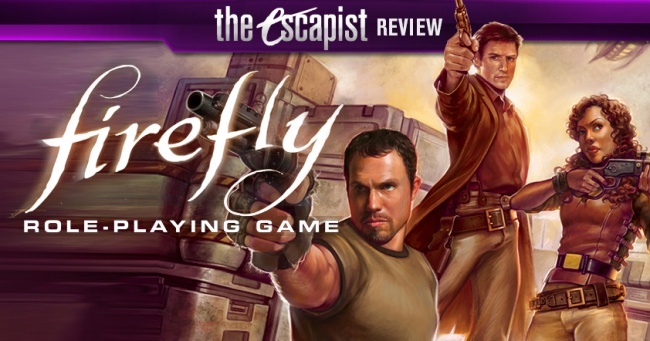 While Firefly is a very different game from the original Serenity system, it's still a well-crafted experience for novice and veteran tabletop players alike - or anyone else with a healthy appreciation for a Verse of Alliance and Browncoats. 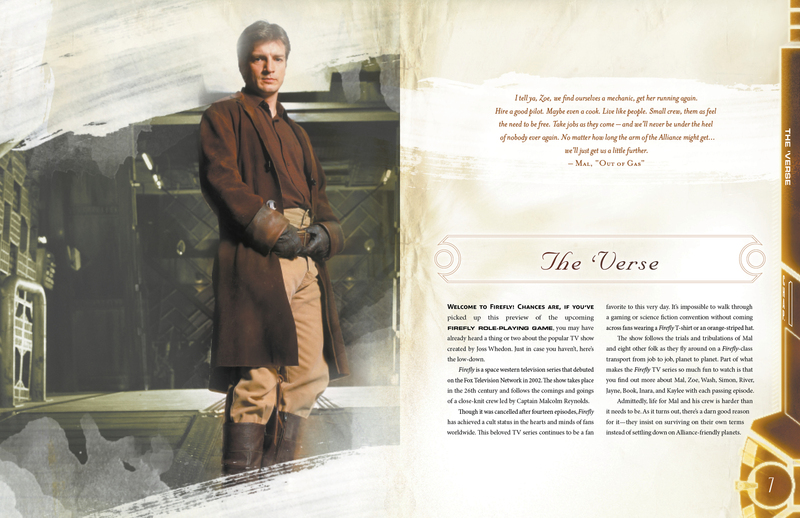 Firefly takes place in "The Verse", a futuristic setting heavily inspired by western films. 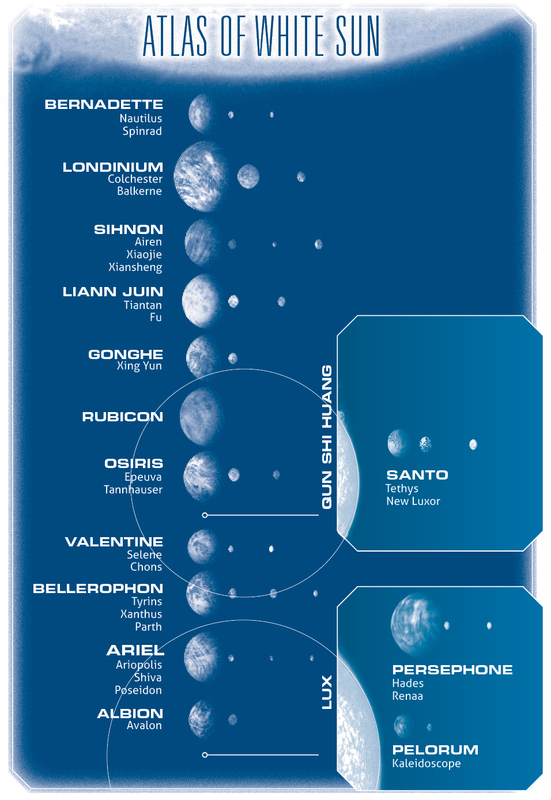 After Earth-That-Was got used up, humanity left its homeworld and settled across five major star systems. Eventually a governing body called the Alliance tried to take control of known space, ultimately winning the War of Unification. 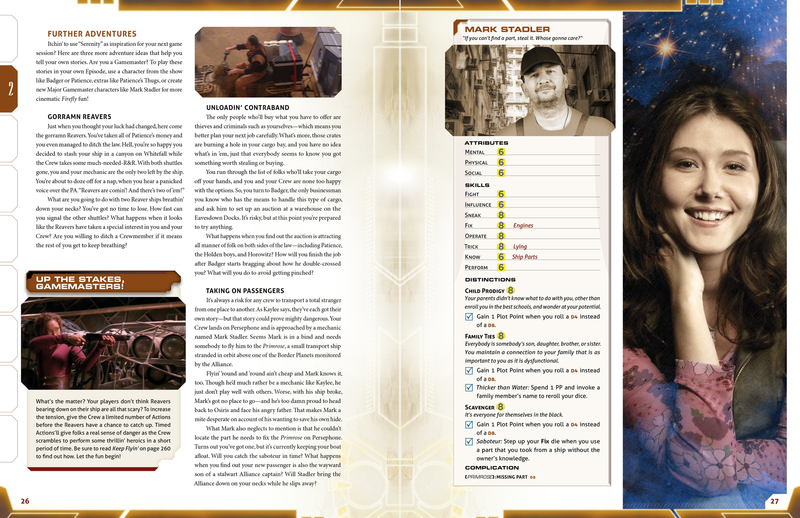 Five years later, any crew that doesn't much like Alliance rule tends to stay-off world, living from trusty ships and taking freelance jobs where they can - usually getting into all kinds of trouble in the process. 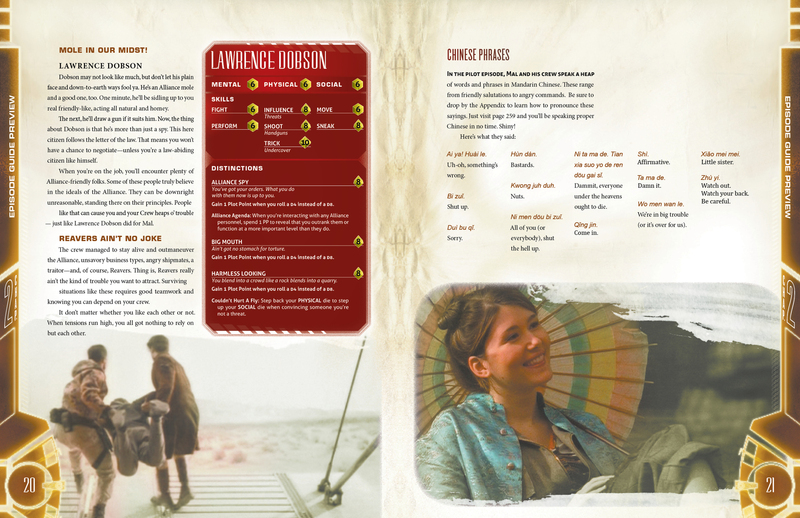 Now if you're a Firefly fan you're already well familiar with all this, but Margaret Weis does an admirable job of bringing newcomers up to speed. 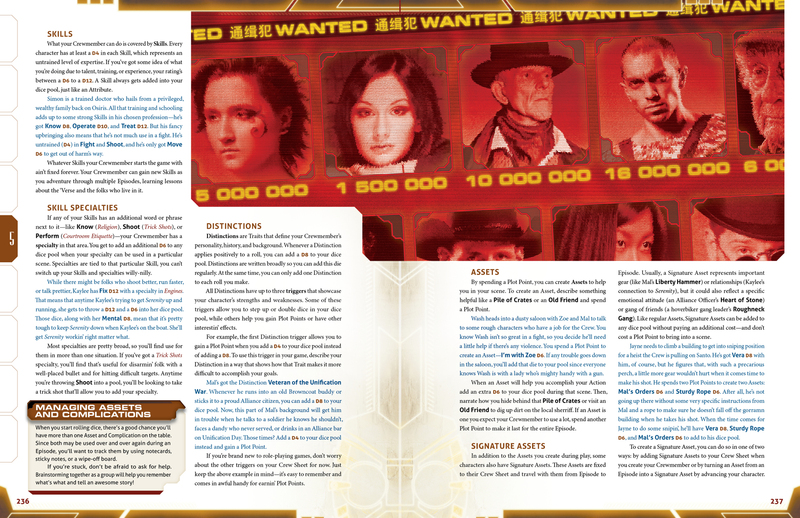 In fact, the first 150 pages is a detailed synopsis of the entire series from a gameplay perspective. 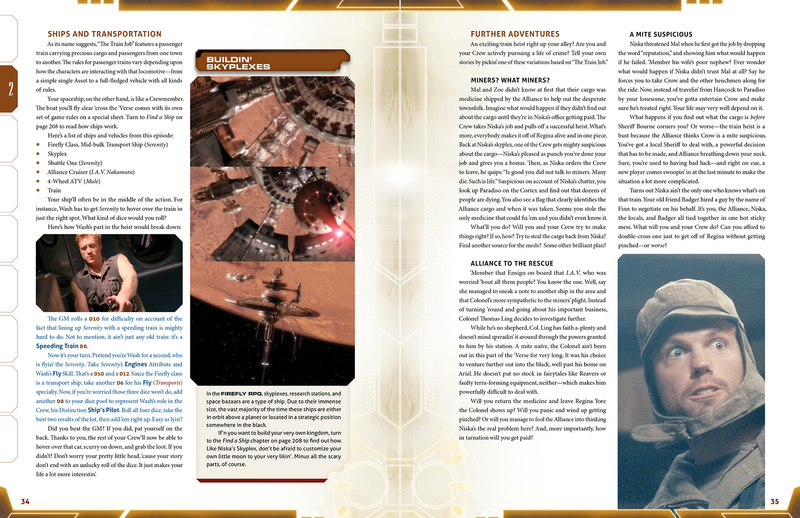 Sure, it's filled with spoilers - but it provides an overview of the setting, weapons and gear from each episode, and breakdowns of which dice were needed in key action beats. 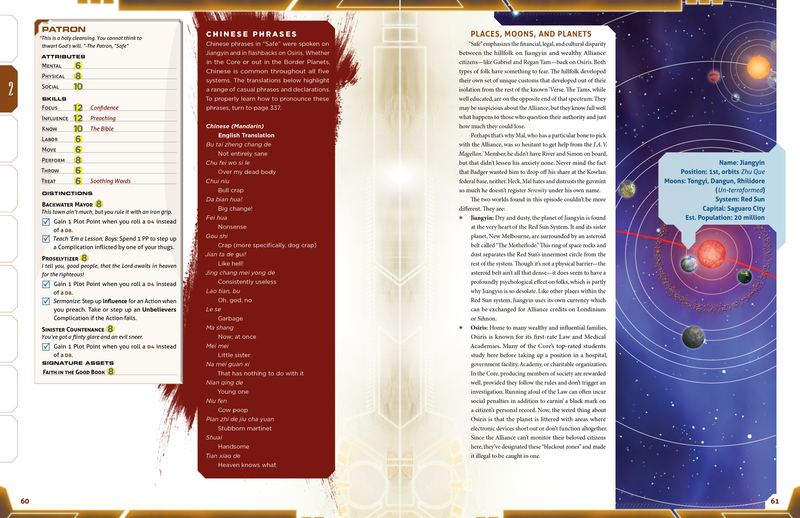 That's incredibly useful for fresh-faced GMs seeking context for rolls - not to mention the treasure trove that is almost every named character as an NPC. 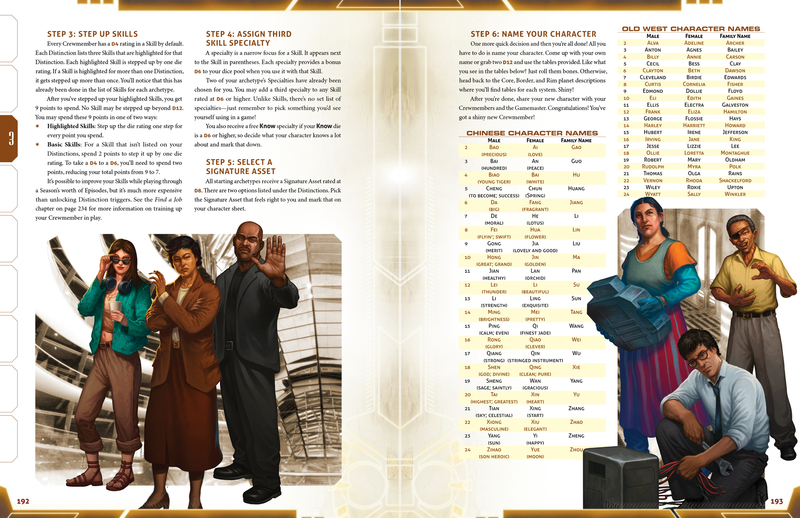 Want to have Badger, Niska, Saffron, or Jubal Early in your game? You're in luck - they're all here. The bad news is you won't find much setting information outside of the show itself. 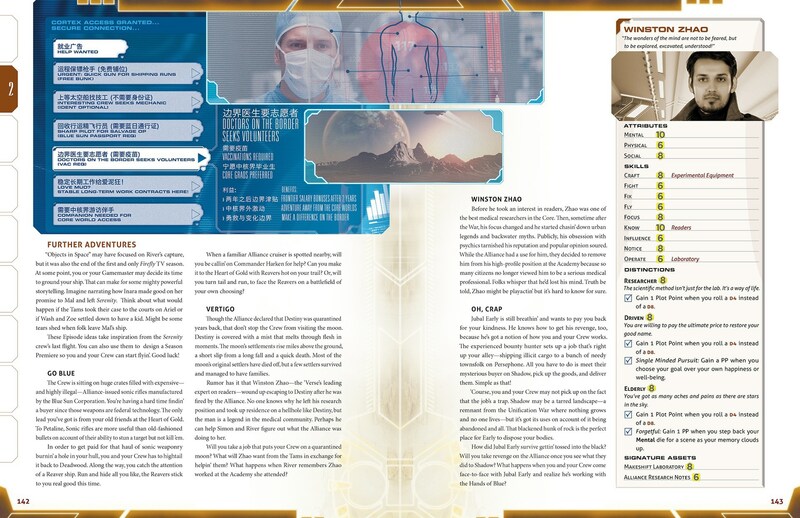 There is a very handy System Map and descriptions for each region, but if you want the details on anything significant - like the Unification War's timeline - you'll have to dig it up elsewhere or make it up as you go along. That's not necessarily a problem for all tabletop groups, but it's a notable absence considering this material was covered in the original Serenity game. That said, there's more than enough to get started here, it's just likely to spin out of the show's content. 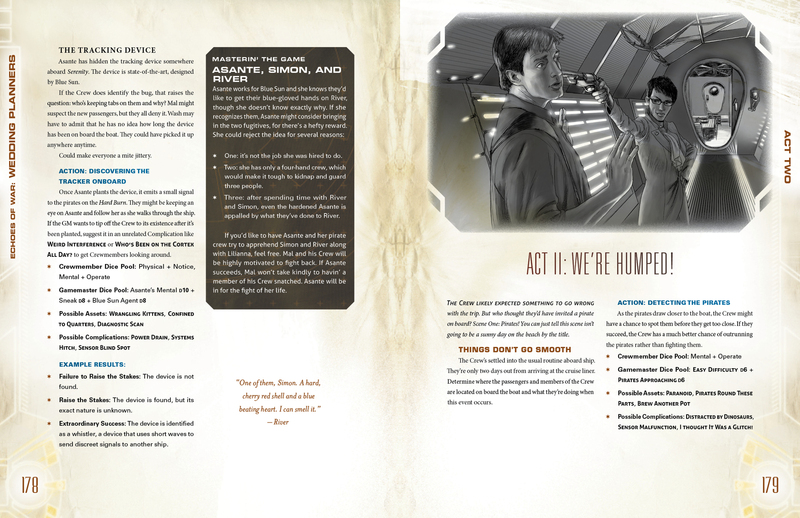 Later supplements like Smuggler's Guide to the Rim rectify that with the "Good Shepard's Run" - ten fully-fleshed out locations for crews to explore - while the core book offers GM advice chapters if you need inspiration.